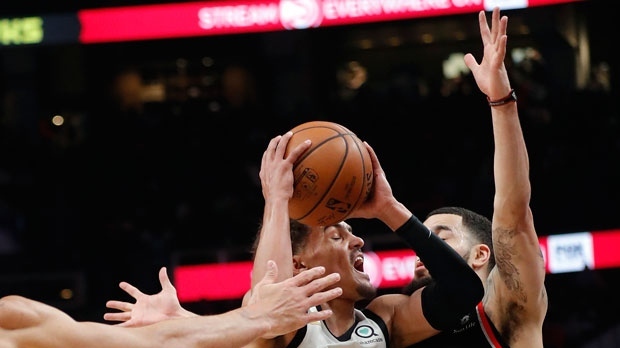 ATLANTA -- Pascal Siakam scored a career-high 33 points, Fred VanVleet added a career-best 30 and the Toronto Raptors rallied after trailing by 17 points in the first half to beat the Atlanta Hawks 119-101 on Thursday night. Toronto, which began the night two games behind Eastern Conference leader Milwaukee, acquired centre Marc Gasol from Memphis before Thursday's trade deadline for Jonas Valanciunas, C.J. Miles and Deion Wright. The Hawks are expected to release two players acquired in separate deals, Shelvin Mack and Jabari Bird. The Hawks traded Tyler Dorsey to Memphis for Mack and acquired Bird and cash from the Celtics. Bird hasn't played this season after being charged with beating up his girlfriend. Hawks: John Collins had 12 points and 12 rebounds. ... With his sixth point, Vince Carter tied Jerry West for 21st on the NBA's career scoring list (25,192). Carter finished with nine points. ... The Hawks were forced to waive G Daniel Hamilton, who had averaged 3.0 points in 19 games, to accommodate the trades. ... Atlanta's modest two-game winning streak ended.